Alfred A. Knoff 1999 publication. Dustcover shows some wear, however, the hardcover does not appear to have any problems. I will provide additional photos or info upon request. I need your zip code to calculate the postage. Hardcover Oxmoor Press publications. Dustcover with a bit of wear and book shows no damage. Additional photos and info available upon request. I need your zip code to calculate the postage. 1983 publication by MacMillan Publication by Hal and Marilyn Weiner. Dustcover shows a bit of wear, hardcover book does not appear to have any problems. Additional photos available. 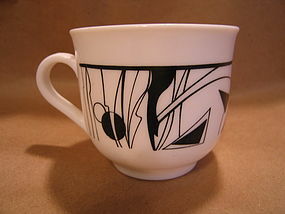 Cup and saucer in an abstract black and white pattern - I have not been able to find an official pattern name, however, the cup is marked P 47. The cup is 2 7/8 inches in height. No damage. 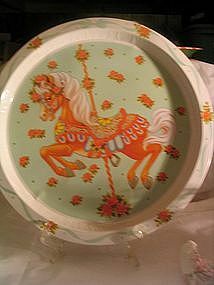 The price includes the saucer and cup. 3 available. I need your zip code to calculate the postage. 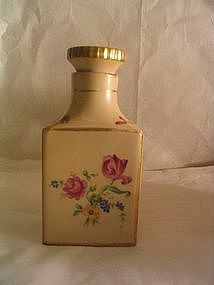 Vintage porcelain scent bottle and stopper. It measures 5 1/2 inches in height. The roses look somewhat like the Moss Rose pattern. 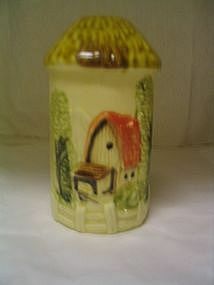 There is a painted butterfly on the stopper. No chips, cracks or breaks, but wear to gold trim. I need your zip code to calculate the postage. Unused candle in tin box from Hong Kong. Dated 1982. 2 3/4 inches in height. Superficial scratches. I need your zip code to calculate the postage. 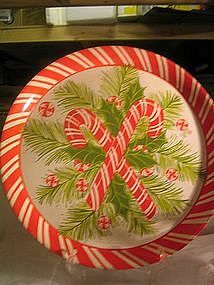 Vintage Christmas tree shaped dish manufactured by Mt. Clemens in Japan. It measures 7 inches in length. There is no damage, but has a few manufacturing flaws. I need your zip code to calculate the postage. 1985 from Hong Kong. 13 inch. Some scratches and a couple of shallow dents. I need your zip code to calculate the postage. 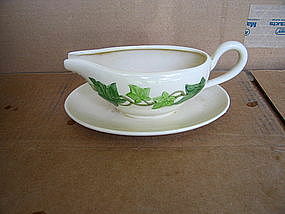 Gravy boat in Ivy pattern manufactured in the USA. It is in the untrimmed style. No damage, but has manufacturing flaws. Additional photos, including backstamp, available by email. I need your zip code to calculate the postage. 5 1/4 inches in height. 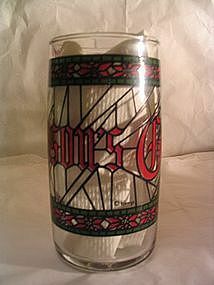 Houze Art Glass logo as well as Anchor Hocking. No chips, cracks or breaks. I need your zip code to calculate the postage. 1985 Telco angel mug. No damage. I need your zip code to calculate the postage. Vintage mug manufactured in Japan. It does not have chips, cracks or breaks, but has minor finish loss. I need your zip code to calculate the postage. Fragile little vase measuring 4 inches. Marked red made in Japan. 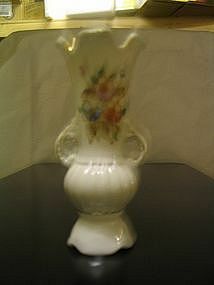 Appears hand painted with a small floral design on the back. No damage other than minor age wear. No chips, cracks or breaks. I need your zip code to calculate the postage. 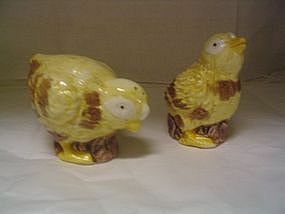 Remember these - they used to be very popular. I don't know if you can still buy them. 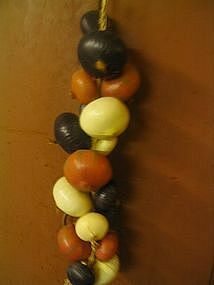 Older type braided plastic and natural twine hold the vegetables together. The entire set measures 25 inches and the actual vegetable string is 18 inches. There is no damage. I need your zip code to calculate the postage. They actually are quite realistic in appearance. One is 3 inches and the one with the head down is a bit over 2 inches in height. There are no chips, cracks or breaks, but there is a bit of paint loss. They have their stoppers. I need your zip code to calculate the postage. Made in Japan sticker. 4 1/4 inches in height. No damage. 3 holes. I need your zip code to calculate the postage.